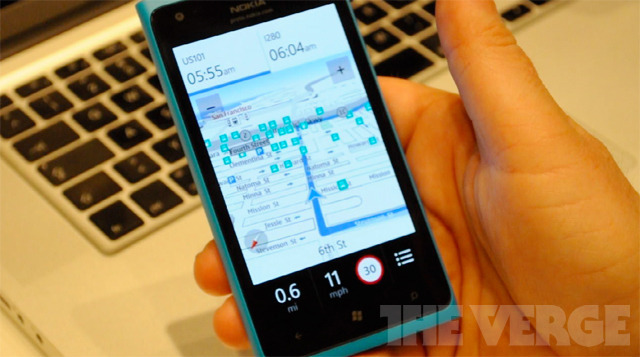 We first mentioned the Nokia Transport application back in CES 2012. Now, Nokia Drive has received a 2.0 update, Nokia Transport has officially been announced along with Nokia Reading, both releasing soon for Nokia Windows Phones. The Nokia Drive update and both application announcements were made during the Nokia conference at MWC 2012. Nokia will release both Reading and Transport very soon, as free downloads on Nokia Windows Phones. Of course, the Nokia Drive update will also be free to all Nokia users. Lets take a look at the new features added to Drive, and the features that make Nokia Transport and Nokia Reading so special. First, Nokia Drive has gone 2.0, the features added in this update are short and to the point: speed limit notifications, advanced dashboard view, and the long awaited offline compatibility feature. Nokia won’t be stopping at 2.0 however, with 3.0 plans already in the works. Nokia plans to release several updates to Nokia Drive over the next several months, clearly the determination to be one of the best mobile mapping applications is unmatched. The 3.0 plans as of now are highlighted with the ability of the application to, over time, learn commuter routes to always find the best ways around the city. The ability for Nokia Drive 3.0 to learn commuter routes will allow the optimum routes based on time of day, traffic, events around the city, and more. Keep an eye out for these monthly updates for Nokia Drive on your Nokia Windows Phone! Next, Nokia Transport, we have covered this application before during CES 2012 which looked mighty useful we might add. Now, the application has officially been announced by Nokia. Nokia Transport helps users, those who rely on public transportation, to get around with live information and updates on buses, trains and more. Nokia Transport, once available, will support 46 major cities worldwide at launch. Finally, Nokia Reading is yet another useful and decisive application to be released by Nokia. As the name suggests, this application will be the users go-to for RSS feeds, newspapers, magazines, audiobooks and ebooks. The Nokia Reading addition will be applied to Nokia devices similar to the Nokia Music hub, with a panorama style layout for easy selections. 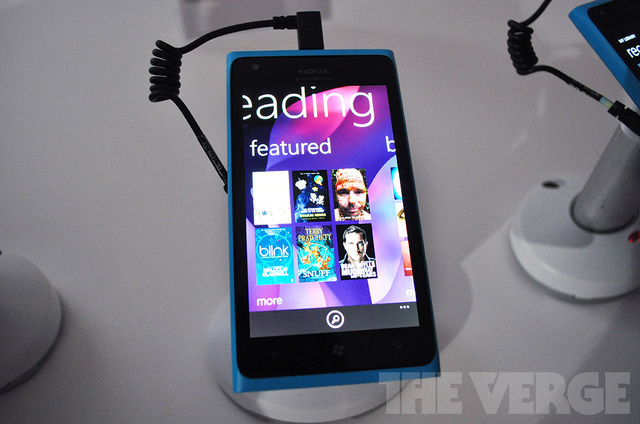 Initially, Nokia Reading will launch with ebook availability. Nokia, through updates, will add more features such as RSS newstream support with the ability to pin publications to the start screen. Account management will need a Nokia account, the same used for Nokia Music. Having a Nokia account will allow for in-app ebook and audiobook purchases. Just another application to differentiate Nokia Windows Phones from other Windows Phones manufacturers. It’s difficult resist wanting a Nokia Windows Phone with all these great Nokia applications involved!